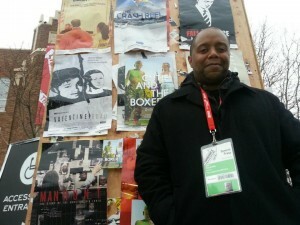 A Filmmaker’s Dispatches from the 2013 Sundance Film Festival : COMICS ARE EVERYWHERE! Part of the journey of making my first, feature-length documentary, Comics Are Everywhere is studying the documentary genre to see what else is out there. And there is no better place to do this kind of research than going to film festivals. Case in point, I went to the 2013 Sundance Film Festival to see the brightest new and established talents in documentary film, as well as the festival’s Shorts program. From the get-go, I hit the ground running, eager to see as much as possible in the week that I was there. For a film lover like myself, being in Park City for Sundance and getting the opportunity to watch one film after another is pure bliss. I had the good fortune to join forces with The Independent. The magazine’s editor Erin Trahan asked me to join the magazine as a staff writer and I contributed my personal coverage on the festival for The Independent‘s readership. For those who might be curious as to what I saw and, more importatntly, what I thought about the current crop of films at Sundance, here’s your chance. "Boxing" painter Ushio Shinohara is one of the dynamic subjects featured in the wonderfully engaging documentary "Cutie and the Boxer." A battered cassette tape is the unlikely engine for time travel in the short film Record/ Play. During my journey, I had the good luck to meet some wonderful people and make new friends. Trahan gave me the freedome to write about what moved me. For any creative individual, having the freedom to explore is always a welcome luxury! So, sit back, click each of the links and go on a vicarious trek to the once snow-covered streets of Park City where the epicenter of indie film sets up camp for 10 days of cinematic magic! Enjoy!